This topic contains 1 reply, has 2 voices, and was last updated by Rashid Iqbal 1 year, 3 months ago. You might already know that IELTS topics for writing task 2 are repeated often. Every week many of our students send us the questions that they have been asked from around the world. These are usually posted in Recent IELTS Exam Questions and Topics section. I have compiled a list of 7 letters (general writing task 1) that have been repeatedly asked in September and October 2017. 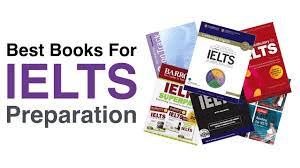 If you are preparing for the General IELTS exam then make sure that you maximize your chances of scoring a BAND 7. 2. Explain how you enjoyed the event. 3. What improvements do you recommend. – What was the product that you ordered? – What was sent to you and how it caused you problems? – What do you want the manager to do about it? – why you need it? – what you want the manager to do? Last year you went to another city for job. Write a letter to your friend informing that you are returning to your hometown to live again. 2. What work will you do after reaching hometown? 3. Inform your friend when and where you would like to meet after reaching home town. And if you want to get your essays marked, simply join one of our correction packages. Use coupon code AUSSIE to get a 10% discount for a limited time. can you please share the sample answer link as well.